The Barclays Retail team had an absolutely fabulous run of coverage this week, following the launch of their Voice Security campaign. The bank is transforming the way customers can access their accounts through telephone banking with the introduction of its innovative ‘voice security’ technology. The service allows you to access your account using just your unique voice, removing the need for passwords or security questions – making it quicker, easier and more secure than ever to access you accounts on the phone. Clever. 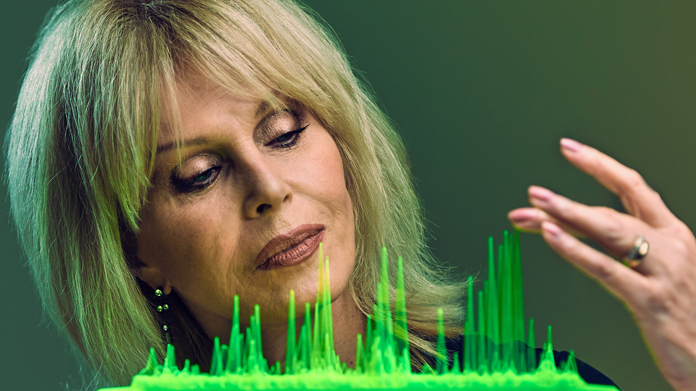 To mark the launch, the team recruited national treasure Joanna Lumley and star of hit-TV-series-turned-movie Absolutely Fabulous, to turn her dulcet (and naturally, unique) tones in to a series of 3D voice sculptures – preserving them forever. The sculptures were constructed using 8,000 individual vectors printed on a 3D printer, capturing the unique variations in each person’s voice. Joanna was voice was recorded conserving four great British phrases including “look after the pennies and the pounds will look after themselves” and “it’s raining cats and dogs”. The preservation of Joanna Lumley’s voice comes as the bank becomes the first in the UK to offer this type of service to all its customers. Eliminating the need for traditional passwords, the offering uses over 100 unique frequencies and characteristics of the human voice to create a one-of-a-kind ‘voice print’ that allows you to swiftly access your accounts. The coverage came rolling in on launch day, with print pieces secured across the Daily Telegraph, Metro, City AM, The Times, i and Daily Mail, broadcast on Sky Sunrise, BBC Breakfast and BBC Radio 4’s Today Programme (as well as a host of regional stations) and online pieces including Daily Mail, The Times, Daily Express.co.uk and BBC News. Now that’s’something to shout about.